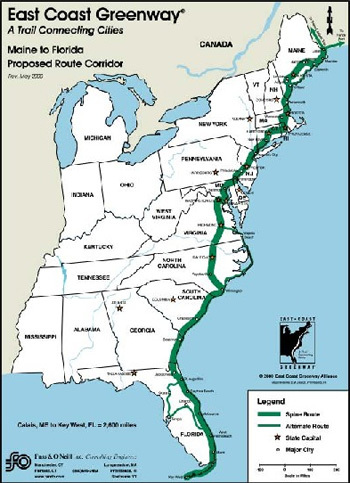 In the summer of 2017, Owen Anketell will use the East Coast Greenway to cycle 2,900 miles from Calais, Maine to Key West, Florida for his cause. This event will be the first for his organization, Adaptive Sports Awareness. Owen’s Ride will consist of three to-be 16 year olds, as he will be accompanied by his cousin, Bryce Coffey, and his friend, Matthew Farrell. During their endeavor, Owen will be stopping at rehabilitation hospitals and community organizations to speak about his involvement in disabled sports, educating people about the impact of adaptive programs and encouraging others to discover the liberation of engaging in outdoor activities. © Copyright - Adaptive Sports Awareness 2016.